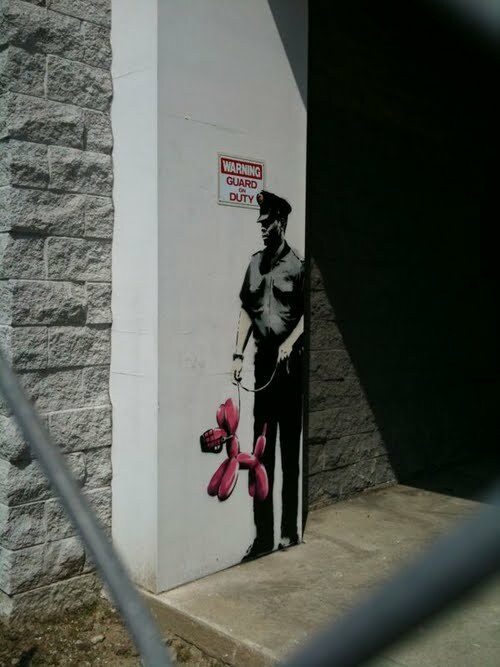 With a surging web presence ahead of the New York premiere of Exit Through The Gift Shop, a new Banksy stencil was found in LA this week. It's not the first stencil he did in the US to "create hype" before the film's release. Lots of fanbois/gurrls will be lapping this up. when do we get to see Exit Through the Gift Shop in Australia hmmm? it's official release is "today". it hasn't got a big distribution deal, so it could take a while to make it here. i'm sure it's good enough to wait for though.